What does auto_increment value mean in MySQL ? Auto_increment: The word auto increment means ‘increment by itself’. When we insert any new record to the table and if any field of that table is set to auto_increment then it generates a unique number for that field automatically. When you deletes a auto_incremented value then it doesn’t automatically rearrange the value. // here table name is "reg" and auto_increment filed is "id"
3) What is the use of max in MySQL ? max is used to select the maximum value of the particular field. 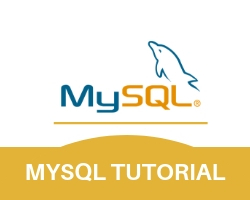 5) What is the use of min in MySQL ? Min : min is used to select the minimum value of the particular field. 6) Example to find out the second minimum salary from employee table ? 8) What is the use of order by in MySQL? Order by : This is used to set the record in a order(descending order or ascending order). 9) What is the use of limit in mySql ? Limit : It is used to specify the number of records to return. It applies the constraint on the number of rows in result set. Means if we have used ‘LIMIT 5,10 ‘ then it means it will select 10 record from starting from 6th. select * from employee limit 5,10; // OR Select * from employee limit 10 OFFSET 5;	// both queries will give the same result. // both queries will give the same result. 10) What is the use of between ? Between is used to select the records from given lower and upper limit. select * from employee where date between “2012-04-01” and “2012-04-10”; // here "employee" is table name. //Year,month and date separated by '-' so pass date as a string “2012-04-01”. // here "employee" is table name. //Year,month and date separated by '-' so pass date as a string “2012-04-01”. 11) What is the use of DISTINCT keyword ? Distinct : It only returns distinct values . it rectifies the data from repeated(duplicate) values. Example to select unique student name from student table. 12)What is the use of IN CLAUSE operator ? We can use “IN” clause to replace many “OR” conditions. It allows you to specify multiple values in a where clause. The key which is pointing to the primary key of another table is called as foreign key. Foreign keys concept doesn’t work in MYISAM storage engine change your storage engine as innodb. 13)what is the use of LIKE ? The like operator is used to search for specified pattern. Example 2: Example to select the stuinfo whose username starts from n.
Example 3: Example to select the stdinfo whose username contains n .